BZBox is a flat folding storage box that can be assembled in seconds with no need for tape or glue. 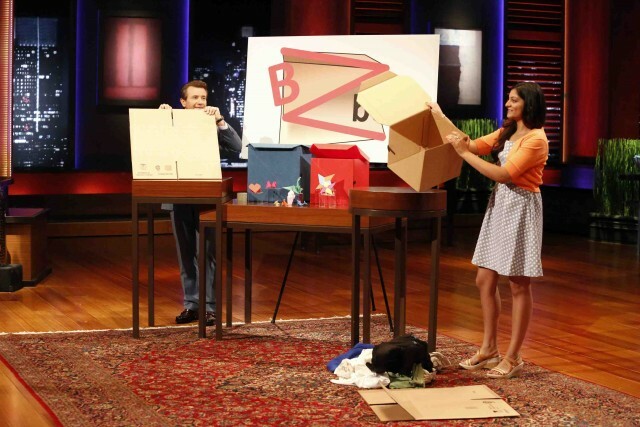 The creator of BZBox went into the Shark Tank asking for $50k for a 20% share of the company. O’Leary offered to come in for 50% equity if the cost could be lowered to compete with a traditional folding cardboard box, but after the entrepreneur turned instead to Lori, Kevin dropped out. In the end, Lori made a deal for $50k for 40% equity.